Welcome to Boundry Place Apartments! 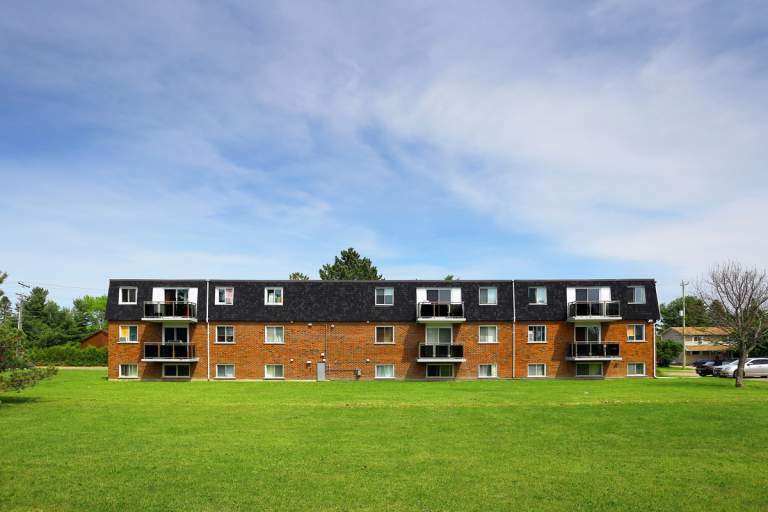 This three-storey building offers 18 suites, in one- and two-bedroom unit layouts, and also features balcony accompanied suites on the second and third floor. Boundry Place Apartments are located between the Eastside and Grandview Gardens Neighborhoods, in the heart of Sault Ste. Marie. Here you will be conveniently set near a popular grocer, Food Basics and other popular shopping amenities. This property is surrounded by beautiful gardens, picturesque greenery and a recreation BBQ area to enjoy with family and friends. Enjoy the beauty of Sault Ste. Marie, at Boundry Place Apartments, where you will find peace and serenity in the community you live in!